I had one of those "serious" posts scheduled for today but, to be honest, couldn't get it where I wanted it. And the perfectionist, type-A-personality in me made its ugly appearance and just wouldn't let me hit "publish." I decided to share some happy things. Have you seen this movie? If you haven't you need to RUN to your local theater. More importantly, should you happen to run into the little girl that stars in this movie, steal her for me. She is the absolute cutest. I kind of love Sean and Catherine. And who doesn't love watching a slightly dramatic love story unfold?! I admittedly don't have the most traditional or classic style when it comes to clothes. To that point, I've been collecting a couple cut-out pieces that will go perfect with tan skin and warmer temps. What's something frivolous you've been loving lately? that song. I LOVE THAT SONG. Oh Josh Duhamel. Be still my heart. I'm dying to see this movie! The book was sooo good. I know, right? Since it is the South.. it will be here like two weeks after spring hits. Skip right to the good stuff lol. I love pink and glitter nail polish! I need a cutout dress. I saw a dress somewhere that had a heart cutout in the back. I want! I love the oversized clutch on that cutout picture. HOLY HELL IS THAT HOT!!! 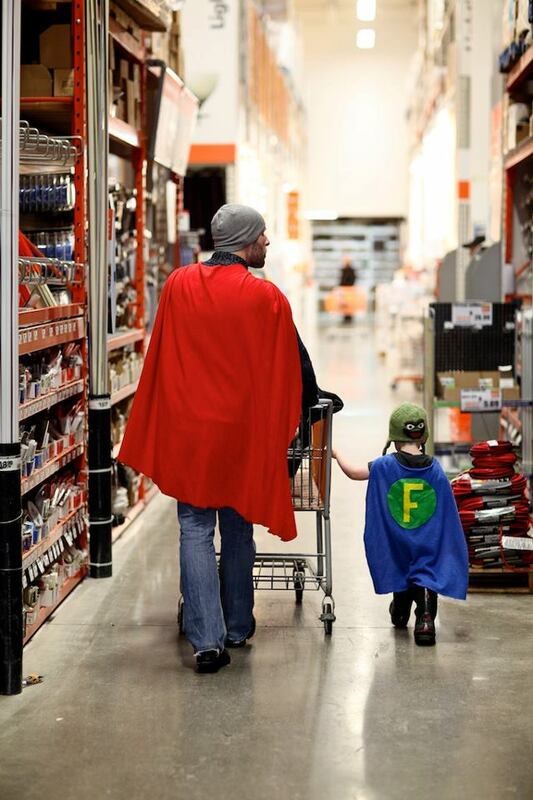 love the pic of the dad and the kid, precious! Love how this post turned out-- it's necessary to be frivolous sometimes :) Yes to Bachelor nights, yes to that adorable black dress and YES YES YES to summer! Hurry!!! I'm obsessed with that manicure. And that dress with the cut outs. Yes, please!! love posts like this :) i honestly haven't gotten used to cutouts yet but i'm sure you ROCK them. love you! and that little girl is adorbs. and the comment a few up from mine?!! she knows the aunt and uncle? that's crazy and SO cool! i LOVE catherine and sean! so happ y they ended up together! I've been loving my Girl Scout cookies. And hoarding them. Loving and hoarding, that's me. Yes to cutouts and Ho Hey. That song is thee best. 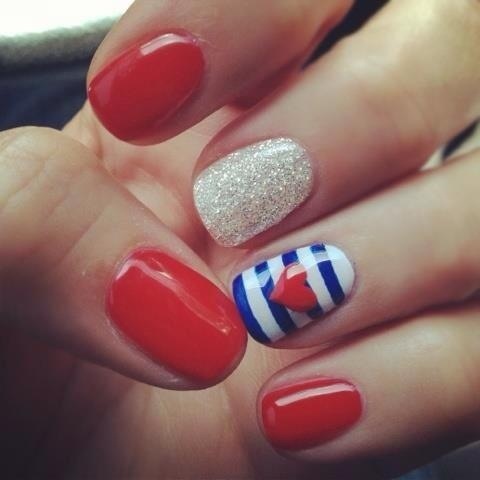 Those nails are totally adorable! I am so looking forward to warm weather and sunshine too!